May 5, 2004. 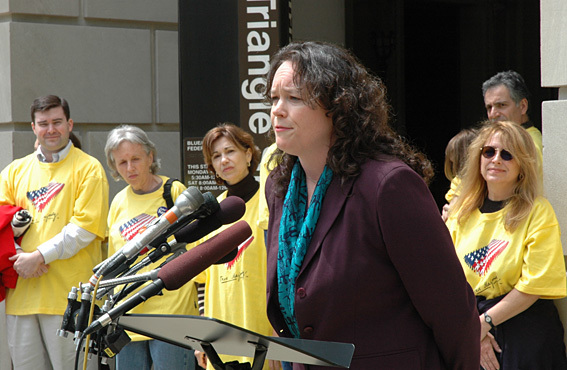 Linda Schade of TrueVoteMD.org speaks during the press conference outside of the Election Assistance Commission (EAC) hearing on the status of computerized electronic voting systems. Copyright © 2004 Eric M. Appleman/Democracy in Action.